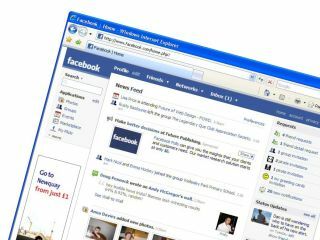 A UK-based divorce firm has made the claim that a fifth of its divorce cases it deals with are Facebook-related. The most popular social-networking site in the world has been name-checked as one of the main reasons couples are filing for divorce, according to Divorce-Online. The site calls itself the "UK's leading divorce resource". And we've looked everywhere for the coda "especially if your spouse has annoyed you on Facebook" but couldn't find it, so we are going to take Divorce-Online's findings as cold, hard fact. Especially when the Telegraph quotes Mark Keenan, Managing Director of Divorce-Online, as saying: "I had heard from my staff that there were a lot of people saying they had found out things about their partners on Facebook and I decided to see how prevalent it was I was really surprised to see 20 per cent of all the petitions containing references to Facebook. So, flirting on Facebook with someone other than your other half will get you into trouble, and into the courts. Got that? Good.